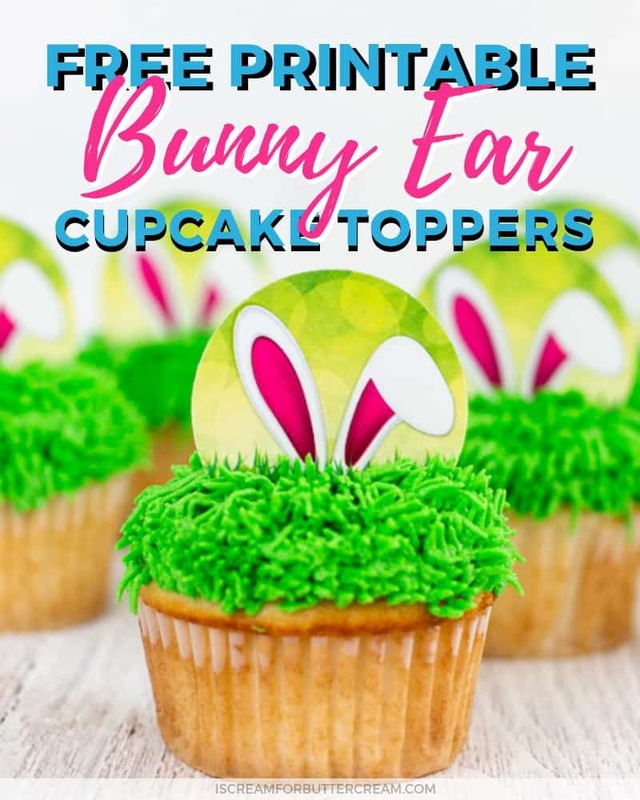 These printable bunny ear Easter cupcake toppers are a super cute and an easy way to celebrate Easter or spring…plus the cupcake toppers are actually free to print! 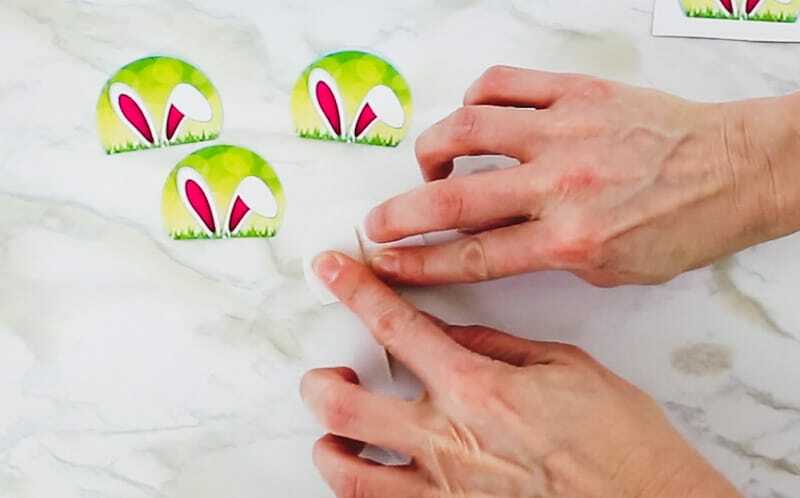 You’ll just download the free printable template for the bunny ears, print it out on cardstock paper and follow the instructions in the tutorial. 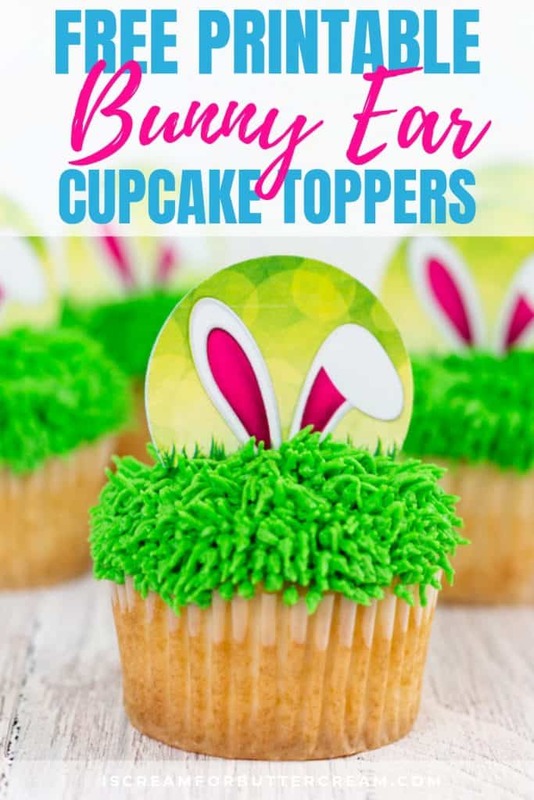 In no time, you’ll have your own cute Easter bunny cupcakes and you didn’t even spend hours in the kitchen. That’s a win, win! 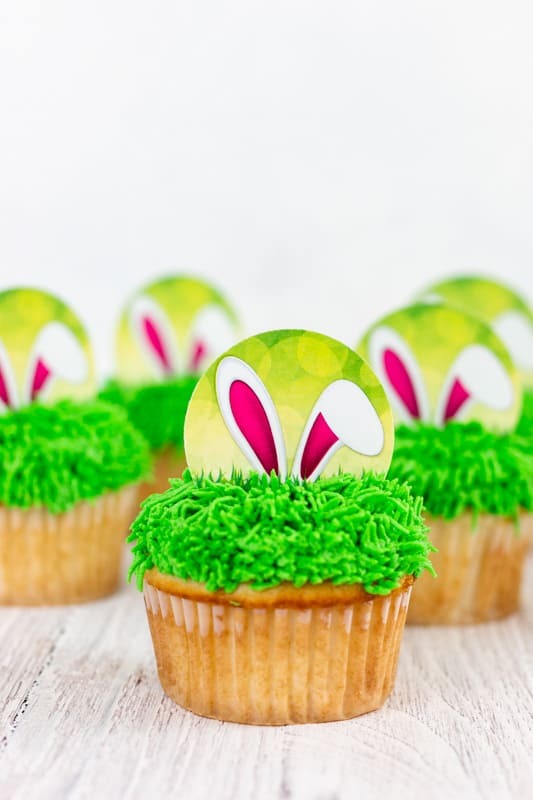 You’ll need a few things to make these bunny Easter cupcakes, but you won’t need much. That’s the beauty of these. 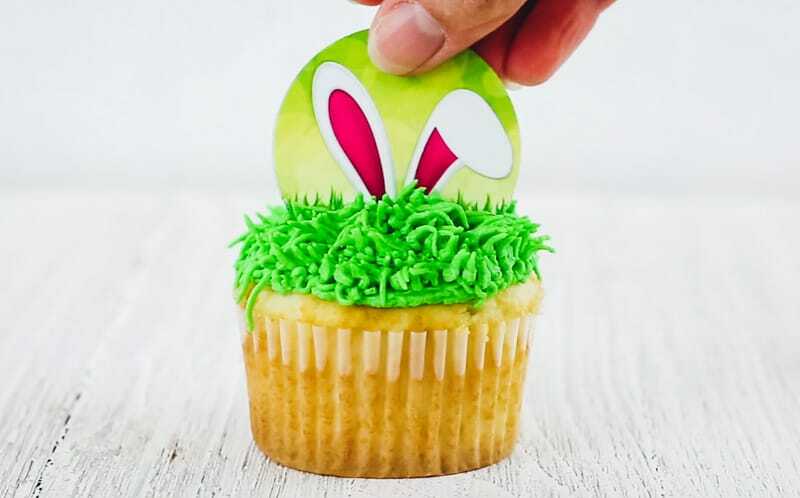 You’re not spending tons of time on them, but you’ll still get some cute Easter treats. Your kids can even help with these. 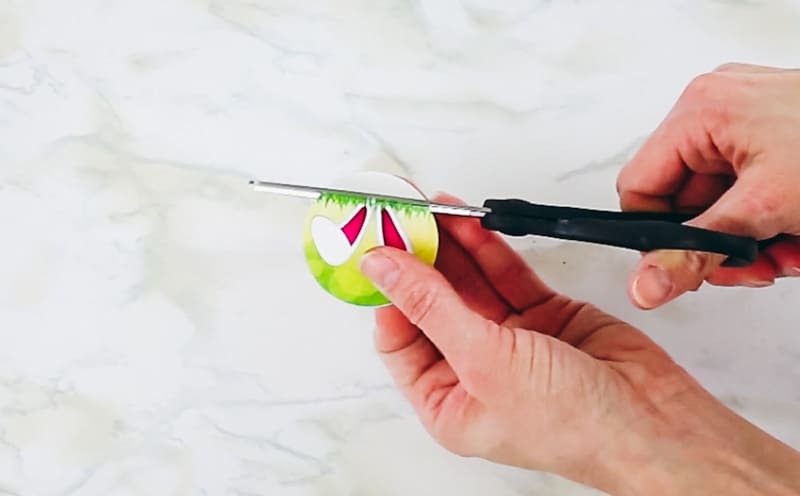 You’ll want to check out the video at the end of this post as well…there’s an easy way to cut (or punch) these out. 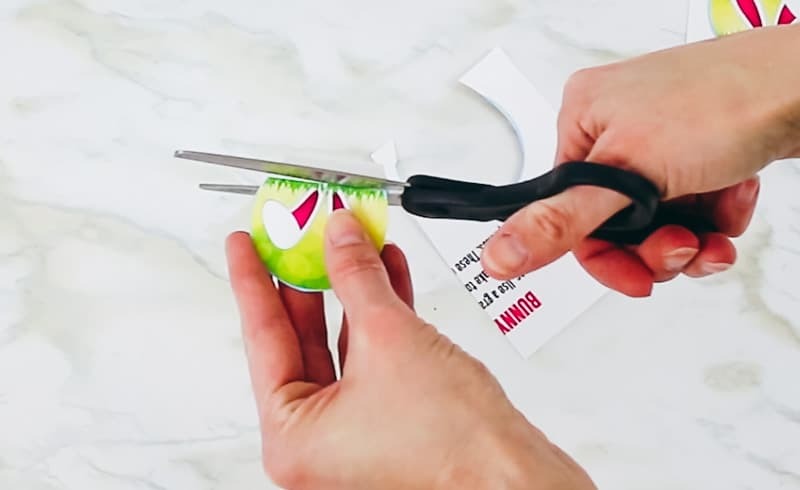 Cut out your templates…you can just use scissors if you want. Make sure to cut the bottom of the topper, flat. You want the ears to look like they’re poking out of the grass. You can also use a 2 inch circle punch. This makes it really quick. 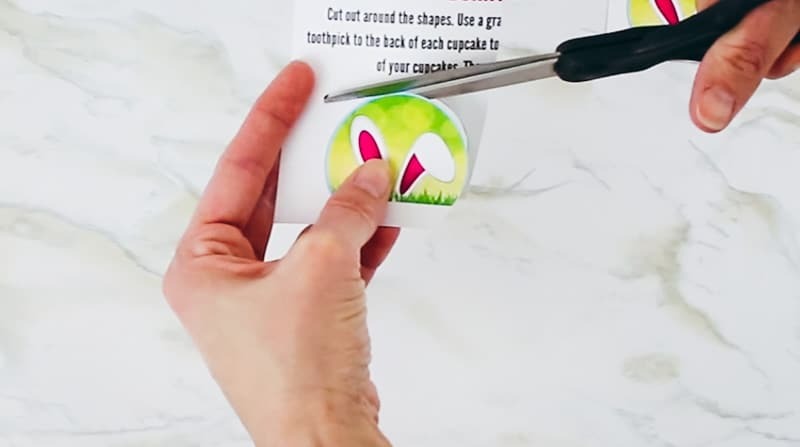 you’ll want to cut your toppers into a long rectangle, then pop it into the circle punch. Make sure to hold the circle punch upside down, so you can line it up properly. 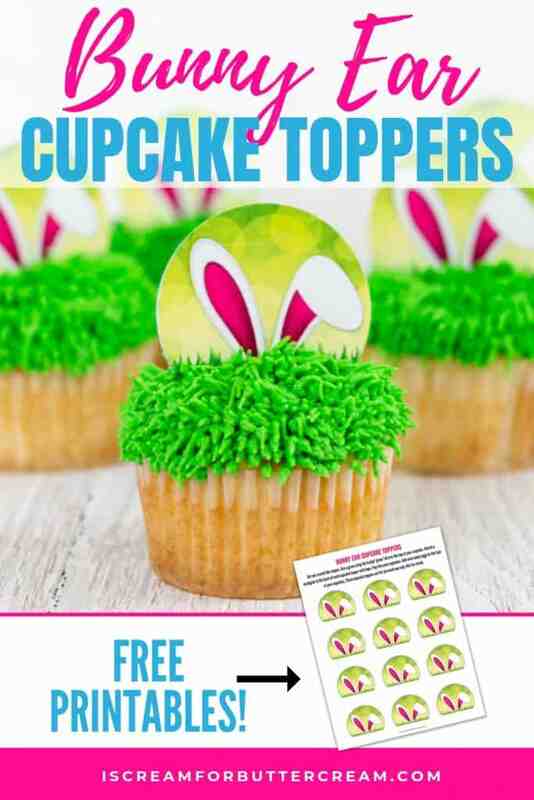 Once you punch them out with the circle punch, make sure to cut the bottom of the toppers straight across. Next just tape a toothpick to the back of each topper. Now, bake your cupcakes and let them cool completely. Then you’ll want to make your icing and tint it green. 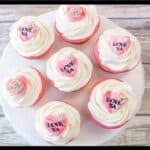 By the way, you can make your cupcakes and icing ahead of time if you want and freeze them. If you do that right, no one will even know and you’ll save yourself a lot of time. 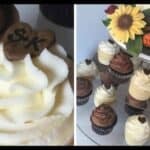 You can find my tips for freezing cakes and cupcakes here and my tips for freezing buttercream here. 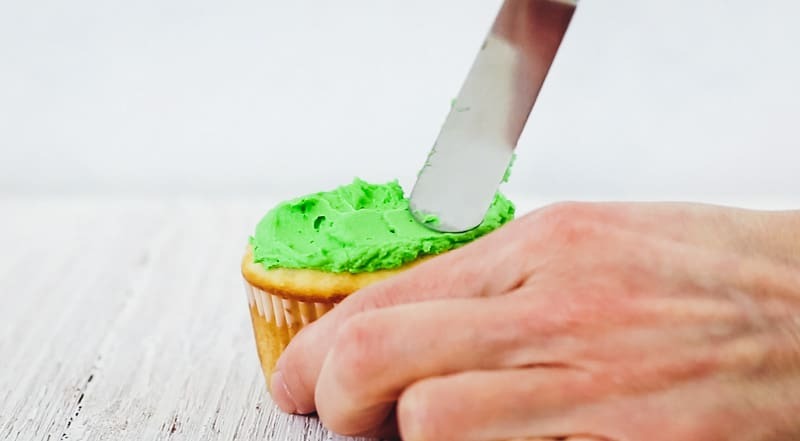 Ok, now you’ll just add a bit of green icing to each cupcake with a small icing spatula, or a spoon. 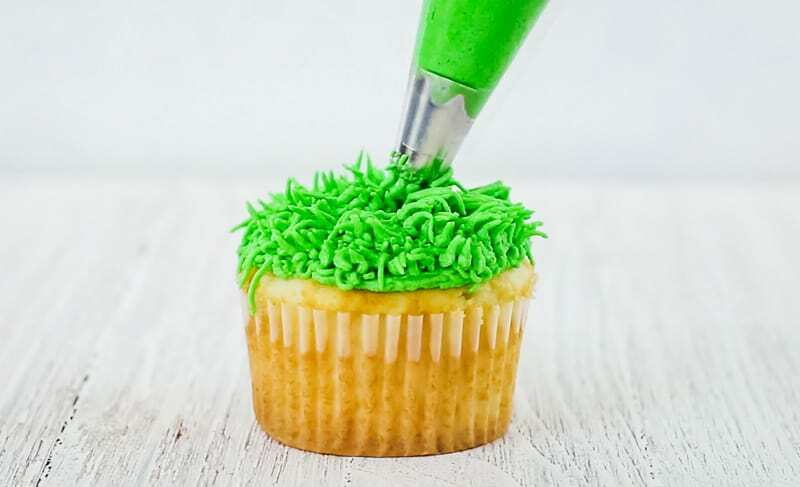 Then add some green buttercream to a piping bag that’s fitted with a grass piping tip and pipe ‘grass’ all over your cupcake. 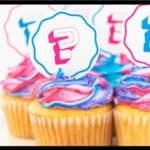 Now just pop in your cupcake topper! That’s it! Super easy, right?! I think they’re really cute and the best part is that they don’t take a ton of effort. 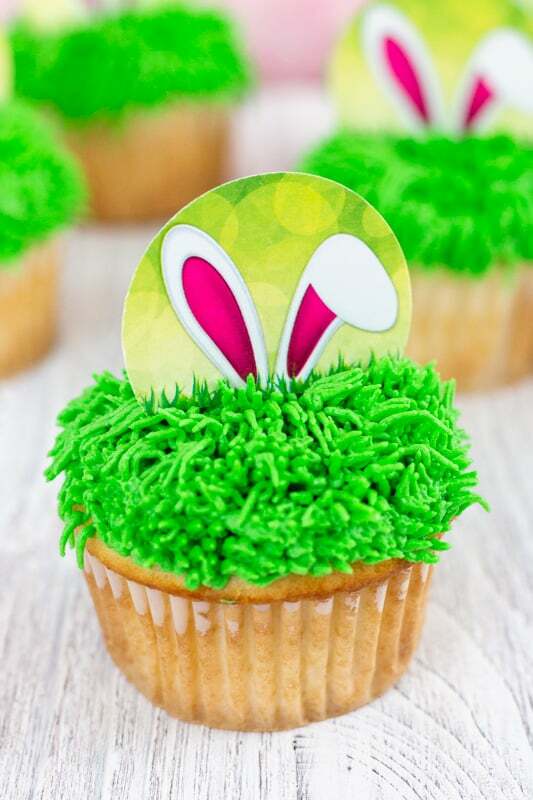 GET THE FREE PRINTABLE BUNNY EAR CUPCAKE TOPPERS PLUS THE PASSWORD TO THE RESOURCE LIBRARY. Just fill out the form below!